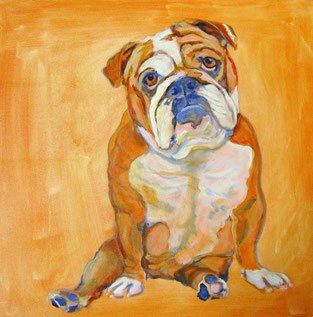 Celebrate the most important member of the family, give a unique and lasting gift, or remember a cherished companion by having a fine art painting done from your favorite photo. Prices start at $300 for a 14 x 14 “Headshot” pose and go up according to size, complexity of the pose, and number of pets included in the portrait. Just email me your favorite photo or photos and I’ll take it from there.